The death chamber of the lethal injection facility at San Quentin State Prison in San Quentin, Calif. The death penalty started falling out of favor in the 1990s. This past decade is now comparable to the one that preceded a 1972 Supreme Court decision that put capital punishment on hold. 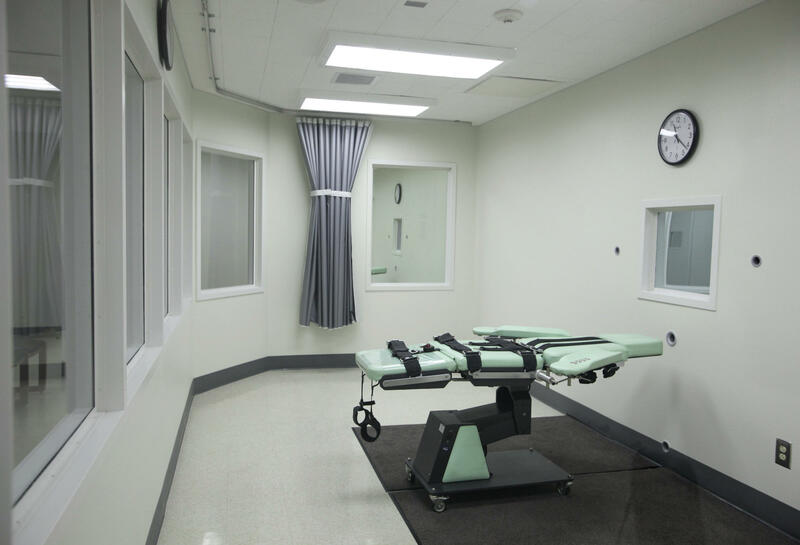 "The use of the death penalty is becoming increasingly rare and increasingly isolated in the United States," Robert Dunham, DPIC's executive director, said in a statement. "These are not just annual blips in statistics, but reflect a broad change in attitudes about capital punishment across the country." To that point, the decline also coincides with a shift in public opinion. If you look at Gallup's historical data, 80 percent of Americans said they supported the death penalty in 1994. That number declined to 61 percent in Gallup's last poll, in October of this year.